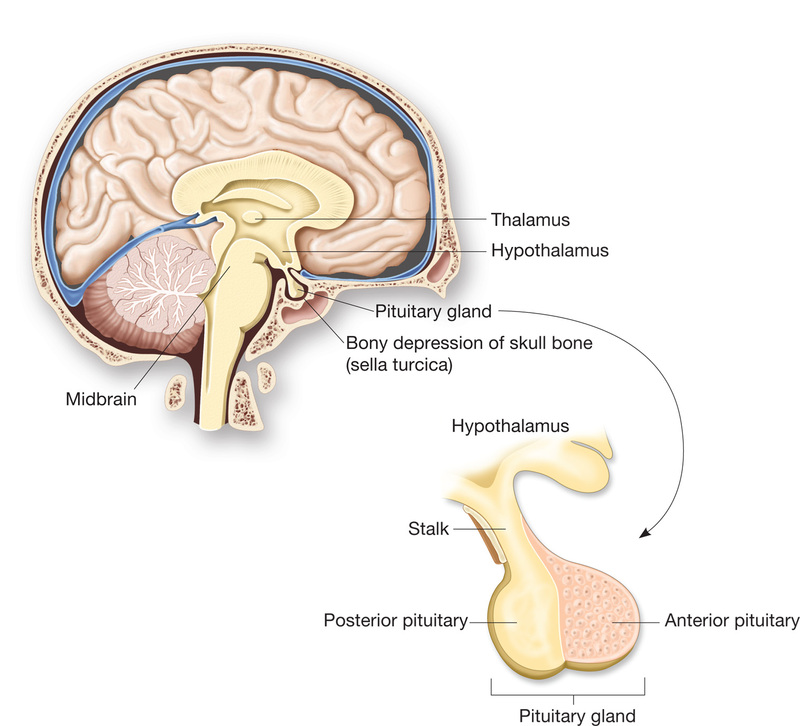 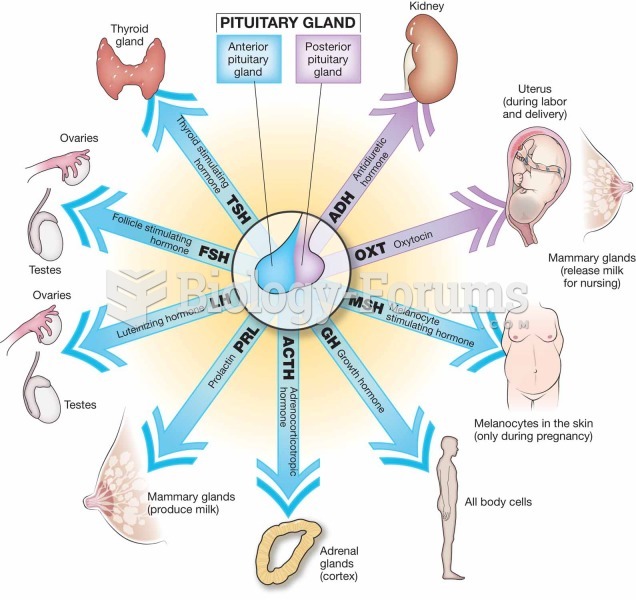 The pituitary gland lies just underneath the brain. 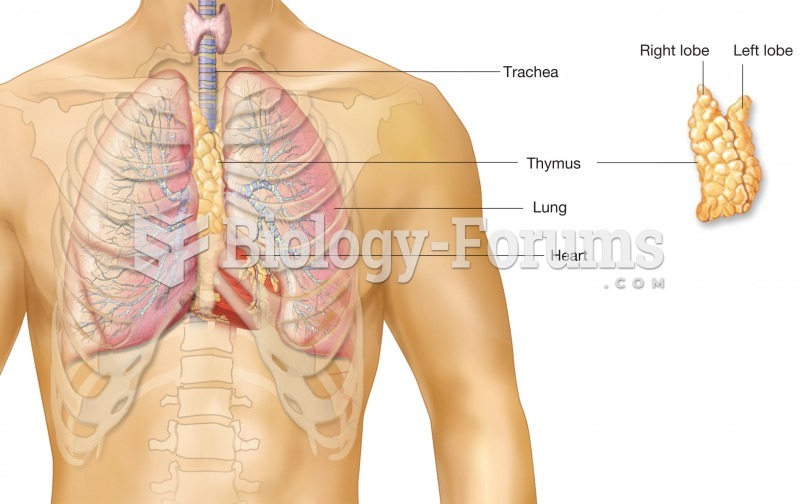 It is subdivided into anterior and posterior lobes. 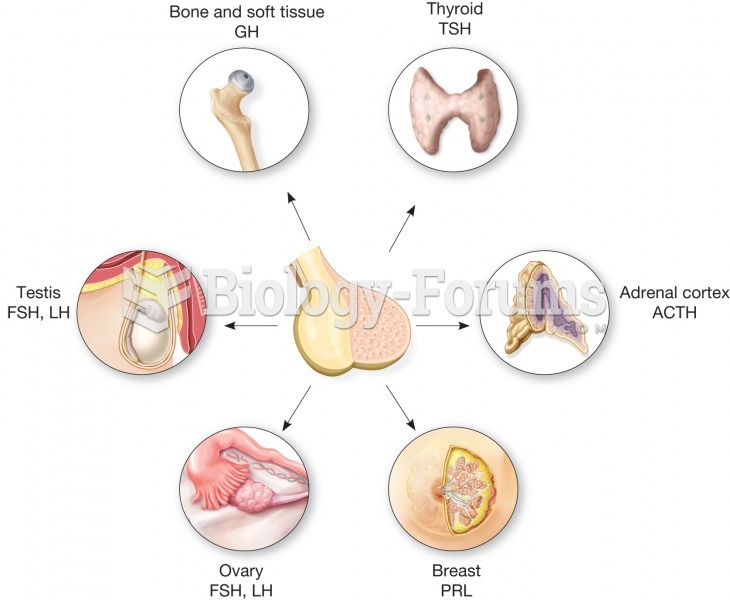 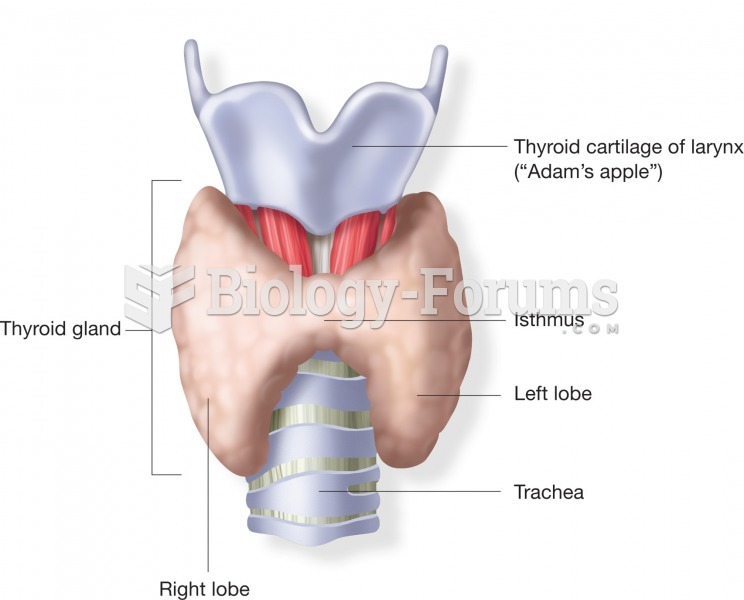 Each lobe secretes different hormones.